Be the best gift giver this Christmas, purchase a Brend Hotel voucher for use at The Royal and Fortescue Hotel. 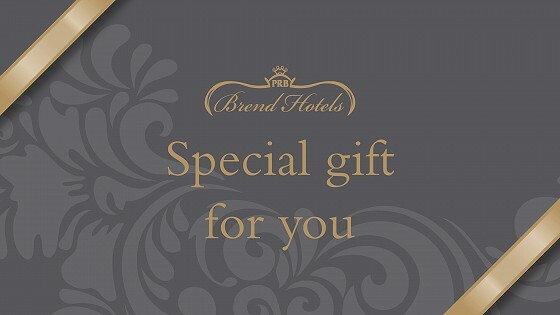 Ranging from values of £10 to £2000, general Brend Hotel vouchers can be purchased online, sent to your inbox direct, before being given to whoever you wish. These can then be spent at The Royal and Fortescue Hotel. We will accept them to pay for (or contribute to) bookings and accommodation plus meals in our RF Restaurant. If you know someone who loves the Royal and Fortescue after staying with us before, or if you are aware of anyone looking for a break to a stunning location like North Devon, this is the option for you. For those living in North Devon, why not treat some special people to a delicious meal in two of the most popular Barnstaple dining options? At The Bank, this historical building is filled with modern meals, friendly staff and good-time vibes. The venue offers both lunchtime and dinner menus, making it the ideal place to pop for a quiet lunch or have a romantic meal in the evening. So spoil someone with a visit to the cafe, bar and bistro that's right next to us. 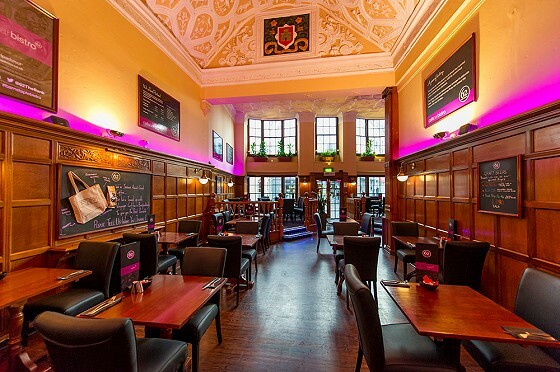 With its Tudor ceiling, oak panelling and a menu that's got it all, come along and enjoy the atmosphere. Vouchers go up to £100 and can be exchanged for, or contribute to, a dining experience - buy it here. For the lovely couple that enjoys a joint present. Or keep for yourself to dine with someone special. This is especially true for The Royal and Fortescue Hotel. 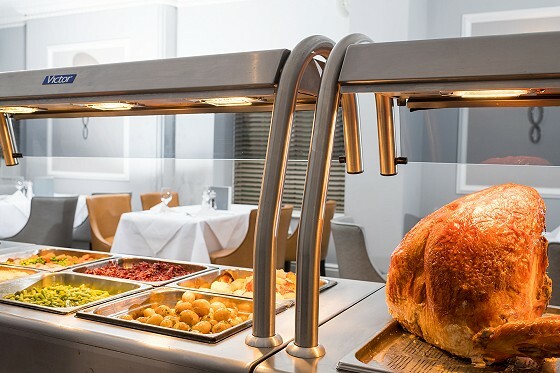 Expertly prepared by our team of chefs, the Sunday carvery is a real feast, boasting a selection of locally-sourced meats and a fantastic array of freshly prepared vegetables cooked in every way imaginable! The voucher costs £30 and will get both the main course and dessert - find it on our vouchers page. Wonderful. It's now time to decide how to spend it. Or, if you wish to dine at the RF Restaurant or at 62 The Bank, call us directly on 01271 342289 to book a table.